Big Bad Wolf Books is one of the largest book fairs that offers 2 million titles with 60-80% discount on brand new books. The fair originated in Malaysia and every year they travel to different Asian countries to host it there. They have been to Thailand, Indonesia and Sri Lanka and has a plan on going to South Korea, Taiwan and Bangladesh in the future. Weeks before they finally arrived in the Philippines, they already have their Facebook page where they post updates of some books that people will see in the fair as well as hosting giveaways to win preview day passes. I kept on joining their giveaways and luckily I was able to win a preview day pass. I was thrilled to be one of the first people who would be able to buy and hoard books at the event. When the preview day came, my sister and I arrived at the World Trade Center at 8:45 in the morning and the line was already long with different bookworms of all ages, some even bringing luggage bags. At 9am the doors opened and let everyone inside. The shopping begin. It was heaven for a bookworm like me to be in a place with thousands of books surrounding me. 1. Big Location – The place was huge that can be able to fit hundreds of people and still be able to move their carts. Just don’t go there on peak hours and weekends! 2. 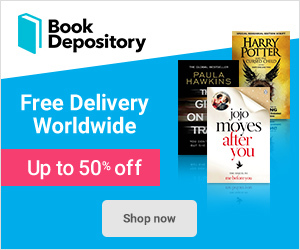 Wide Range of Books – Typically here in the Philippines when there are book sales, most of the books offered are fiction with the sub category of Young Adult novels, while in Big Bad Wolf Books they had different genres offered. There is definitely something for every bookworm of all ages. You can even bring a non-reader and let them browse for an hour or two, I’m pretty sure they won’t go home empty-handed. A week ago, National Bookstore announced on their social networking sites that there would be a warehouse sale “The Great Warehouse Sale” in Quezon Avenue. The sale was up to 90% off on books, supplies and gift items. Yesterday, I asked my sister if she could come with me today(8/14/15) to the warehouse sale and she agreed. Earlier today, we woke up at 7am and leave the house at 7:50am. We rode lrt-trycle-fx and then we finally arrive at the warehouse sale at 8:40am. There was already a long line outside. I thought we were the first batch, but then I was wrong. By 9am, the line was moving, when it was our time to enter the store, they stopped us saying that the 4th floor was already crowded. We waited a little bit longer then the line starts to move again. It was 9:30 when we arrived at the 4th floor. It was not really crowded yet because it was still early. What we were given when we arrived are big boxes instead of carts because all the carts was taken by the early birds. Me and my sister decided to split to find the books we wanted to buy.